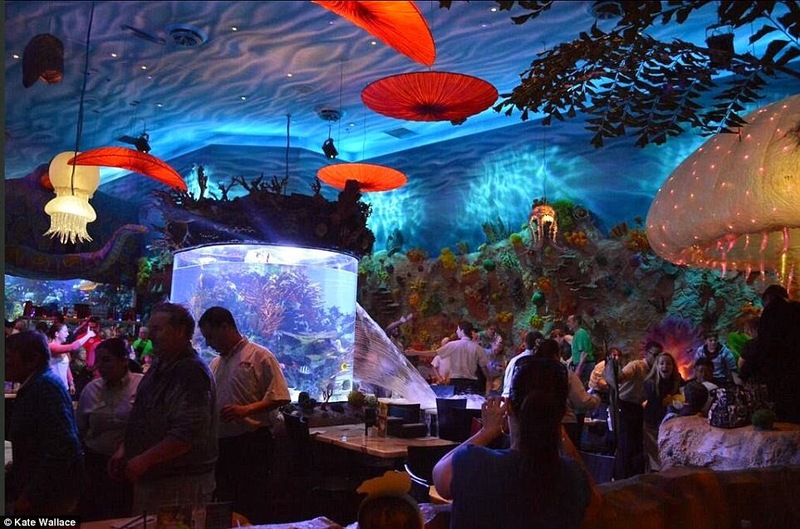 March 17 - a fish tank leaking in the middle of the T-Rex Café dining room in Disney, Orlando left diners soggy and astonished. 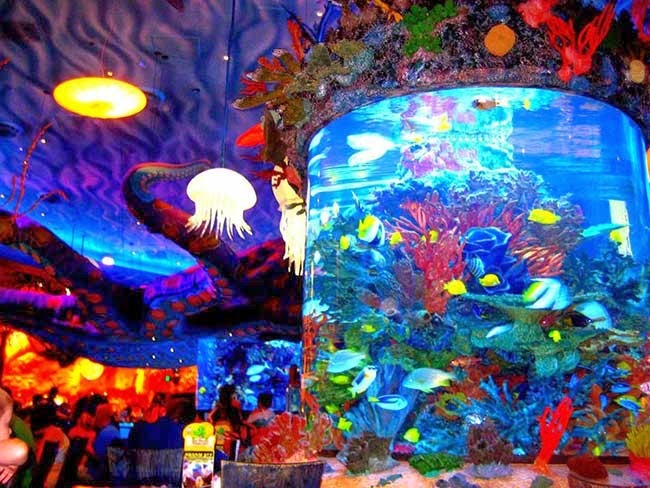 Fortunately, there were no injuries reported from the diners, and no injuries stated err... seen from the fishes. Thanks to their alert staff who responded well on the crisis. 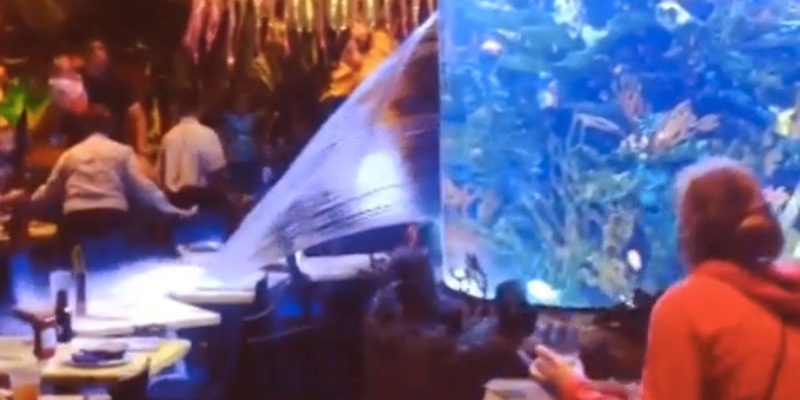 Though some diners immediately went out, and some looked for other venues to enjoy their dinner, still others went nearby the tank to get a good shot of the incident for us to see. All questions about the incident were referred to corporate headquarters. Read here for full details.